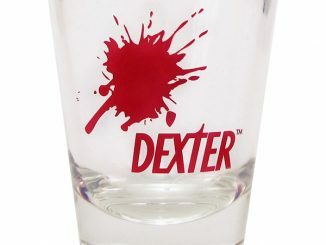 Dexter Week continues at GeekAlerts.com, and today’s secret ingredient is Bobbleheads! 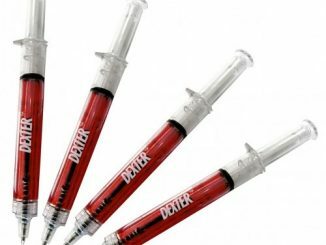 While not as inventive as the Blood Spatter Coasters or Heat Changing Mug, these Dexter Bobbleheads make a great collectible for fans. 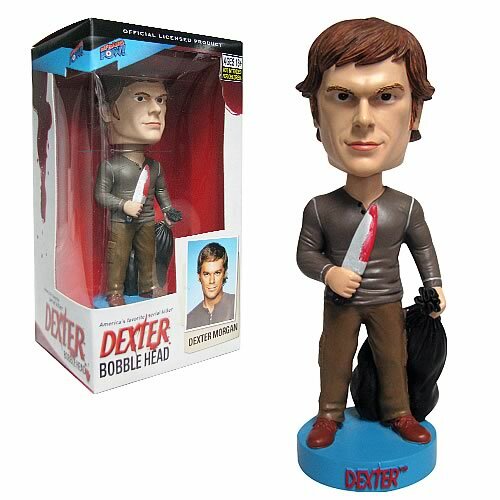 Every collection should have the Dexter Morgan “Kill Suit” bobble head, but it’s hard to find one you don’t want. 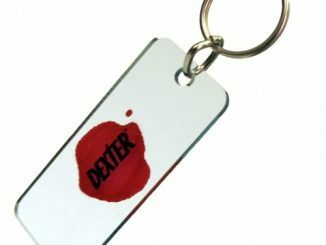 You need to have Dexter’s sister, Debra Morgan, along with other regular stars like Angel Batista, Vincent Masuka, and Maria LaGuerta. Well, I don’t like LaGuerta so I could skip that, and definitely get Arthur Mitchell (AKA The Trinity Killer) instead. They also have Rita Bennett (Dexter’s girlfriend and then wife, until she was killed) and Sergeant Doakes. Since he was killed off in the Season 2 finale, Sgt. Doakes hasn’t been on the show for a long time, but he was still a really cool character. That’s one killer outfit, Dexter. 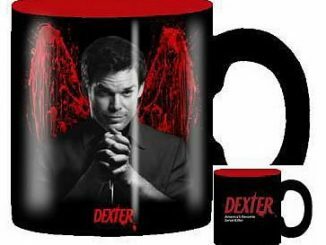 From Showtime’s hit television series, this spectacular item spotlights the star of the show! 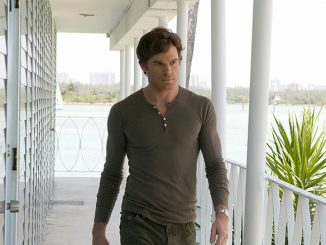 A blood-splatter expert for the Miami Police Department by day, Dexter spends his nights murdering other serial killers. Now this so-called “good guy” is available in 7-inch bobble head form… and he’s truly dressed to kill! Dexter’s made of resin and would love to show off his duds at your place. So, bring him home today! 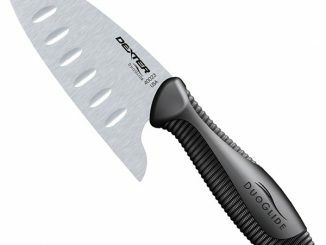 Well, if it isn’t Dexter’s little sister! 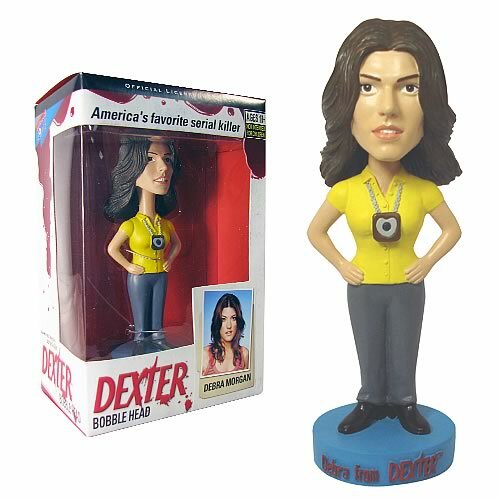 From Showtime’s Dexter TV series, comes Debra Morgan… as a 7-inch tall, resin bobble head. Dexter’s smart-aleck sibling is not afraid to get into the action as a homicide detective, and she’s dressed to kill (so to speak) with a gun belt in tow. Produced by Bif Bang Pow!, this sassy little lady is not to be messed with… you know who she’s related to! 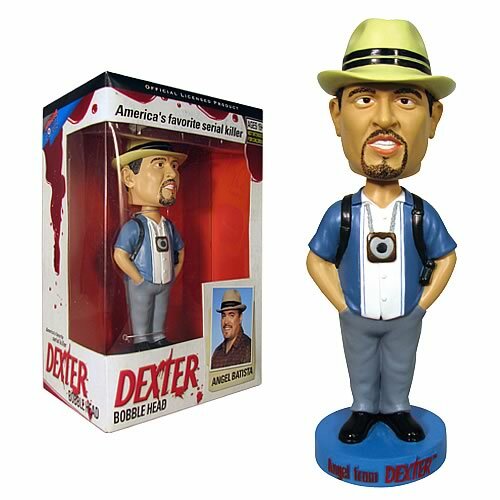 From Showtime’s hyper-popular Dexter TV series, comes Angel Batista… as a 7-inch tall, resin bobble head! The friendly, flirtatious, and honest-to-a-fault homicide detective is accurately rendered here by Bif Bang Pow! In his signature hat and garb, he’s ready to wobble away at your whim. Be honest now… you want this. So, go for it! Standing 7-inches tall and made of resin, this remarkable bobble head brings you actor C.S. 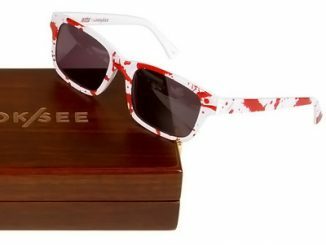 Lee as Vincent Masuka, the innuendo-cracking, probably perverted partner of Dexter from the super-popular Dexter TV series. He’ll fit right in, in that crime lab you’re building in your garage! 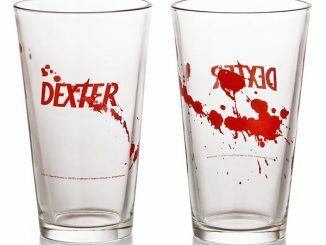 Based on Showtime’s Dexter TV series. 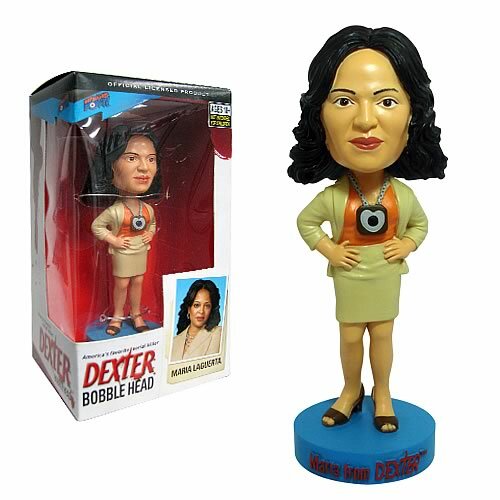 it’s Lt. Maria LaGuerta… as a 7-inch tall, resin bobble head! Played by actress Lauren Velez, this intimidating woman rules the Homicide Division with an iron hand. But she’ll be nice to you if you give her half a chance. Add Lt. LaGuerta to your order, and see for yourself! Look! It’s The Trinity Killer, a.k.a. Arthur Mitchell! 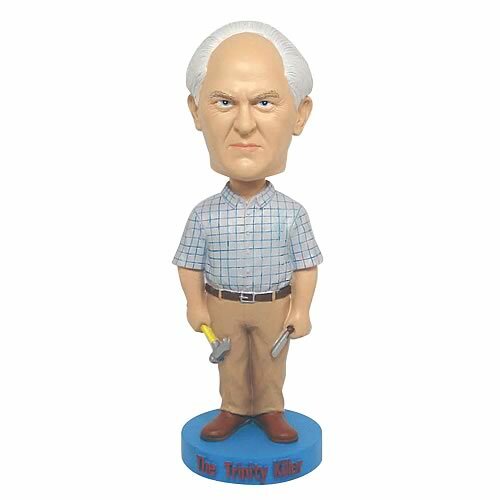 The violent sociopath from Showtime’s all-the-rage series Dexter is all yours in this awesome 7-inch tall resin bobble head. Take pity on this poor fellow and bring him into your home… if you dare! 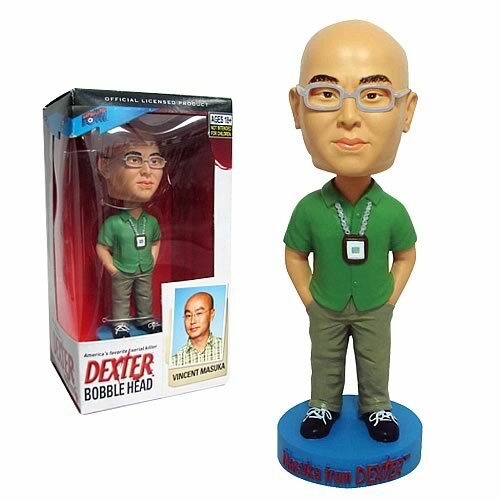 He makes a terrific companion piece to the other Dexter bobble heads from Bif Bang Pow! 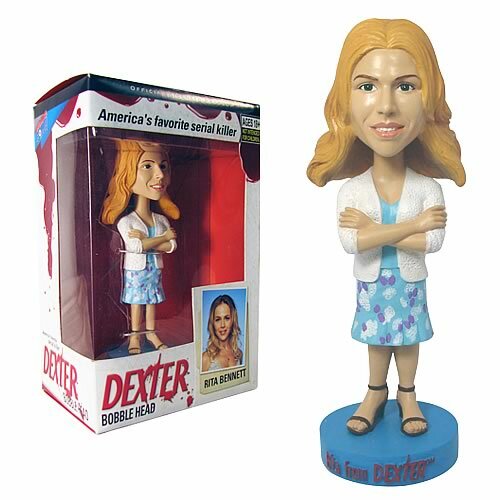 This brilliant, 7-inch tall, resin bobble head of Dexter’s girlfriend Rita Bennett comes from Showtime’s blockbuster TV series Dexter. Oblivious to his nighttime hobby, this mother of two is fully capable of making their unconventional relationship work… even if it kills her. But let’s hope not. Add this little lady from Bif Bang Pow! 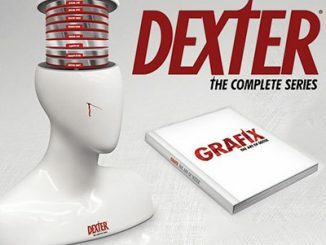 to your Dexter memorabilia! Sgt. Doakes is from the very popular Showtime series Dexter. The tough-as-nails homicide detective is uncannily captured as this 7-inch tall, resin bobble head with gun belt and badge, busting with attitude. This guy has always been suspicious of Dexter, so don’t let him catch you doing anything stupid… like passing on ordering him! 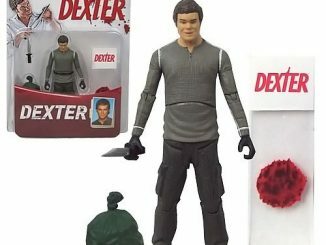 Dexter Bobbleheads are available for $12.99 each at EntertainmentEarth.com. 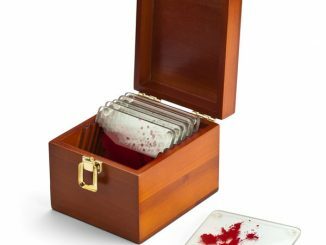 There is also a nice selection over at Amazon.com. 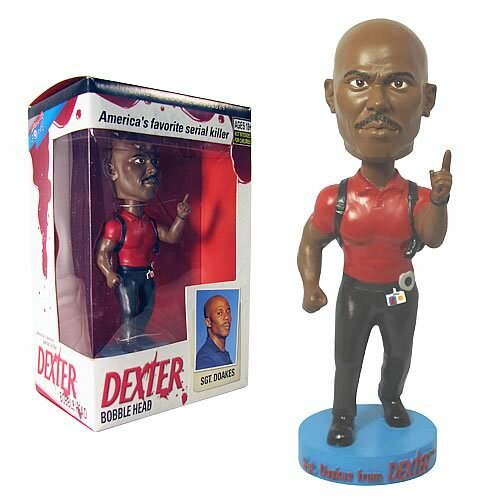 They also have some right at the Showtime Store, including a double bobble-head with Dexter and Baby Harrison.